This Wednesday, April 13, 2016 volunteers will give bike lights out to riders around Madison and Dane County. This time, there will be simultaneous programs by the Madison PD, UWPD, Fitchburg PD, Dane County Sheriff's Office, and Middleton PD. Volunteers are needed for the UW, Fitchburg, and Madison locations. If you would be willing to help, please contact your local police department or Kristin Carroll. Wisconsin law requires bicycles to have a front light visible from 500 feet and red reflector of tail light. Wisconsin law requires car headlights to be bright enough to see a person from 100 feet on low beam and 350 feet on high beam. 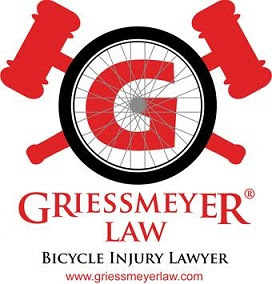 If a bicyclist gets hit by a car and the driver of the car blames the bicyclist/claims they could not see the bicyclist, the bicyclist and his or her lawyer should remind the driver that the law requires the driver to be able to see people at least 100 feet in front of them as they drive. Unless the driver of the car is driving without headlights, the law requires them to be able to see people 100 feet in front of them. This means the driver has to see what is 100 feet in front of them even if the person is not wearing reflective clothing and does not have a light. This law also protects pedestrians who get hit in crosswalks at night when drivers then try to blame them and say they did not see the pedestrians.